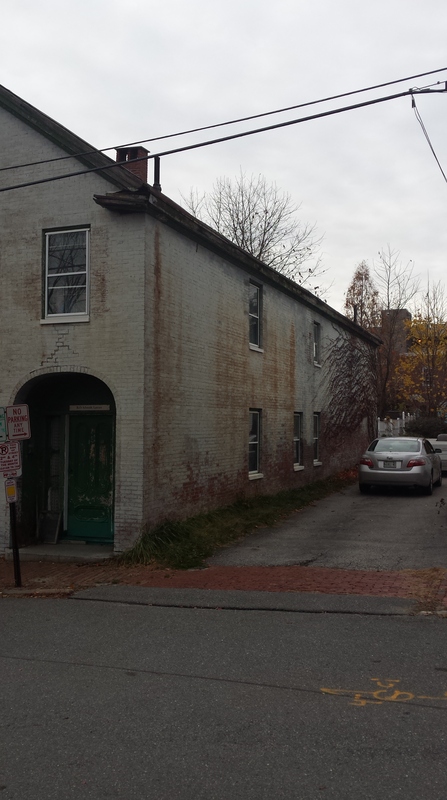 20 South Street is a Federal style brick building of 3 bays if a bit asymmetrical in it’s layout. Showing classic marks of the style in its arched entry, side lit door and clean cut windows, it is currently painted a tired gray, it would likely have been unpainted when built. The 1924 tax photo seems to bear this out as well as showing the original 6 over 6 windows since replaced with modern, single pane units. An economic decision no doubt but it has robbed the exterior of a piece of it’s character. 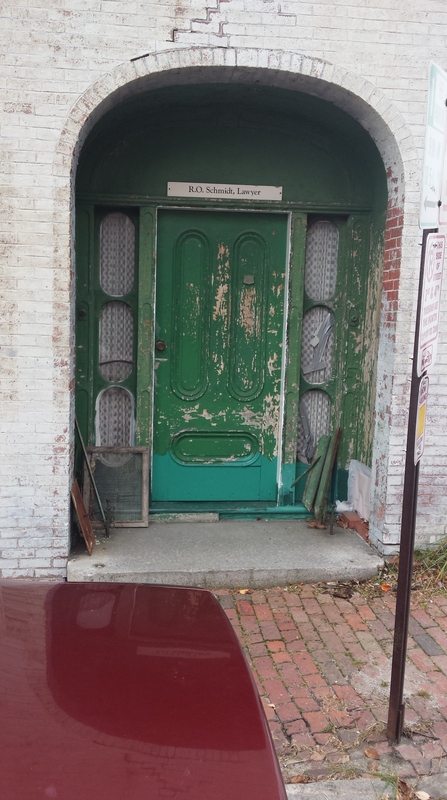 I like the color on the upper part of the door. The bottom color, not so much. The property is listed as 2 family. Must be cramped. It’s an interesting shape that is obviously driven by it’s lot. The lot in its self has some stories, more on those later. The 3 bay front extends back about 30 feet before stepping back to a 2 bay width for the remaining 40 +/- feet. The break between the second and third bay being, rather uncomfortably, expressed on the facade. 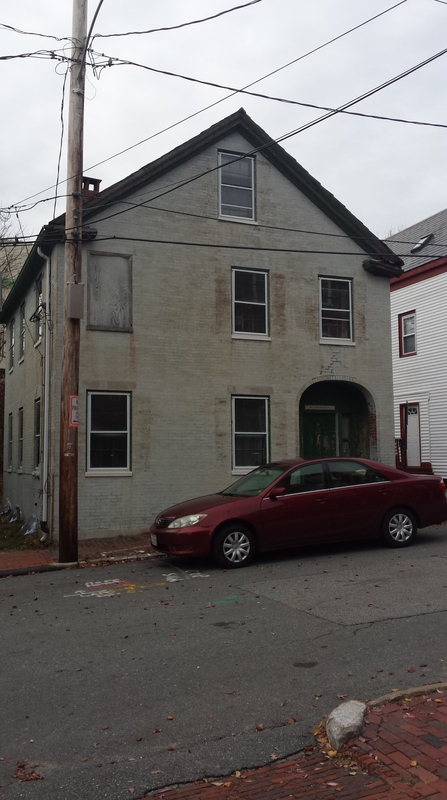 The building presents as 3 stories with the third floor being a garret. Current tax records list a Remington Schmidt Esq as the owner. Current valuation is $264,700.00. Notable previous owners include The Catholic Diocese of Maine and the Mussey family. William Willis places the first Mussey, Benjamin, in Falmouth prior to 1745. After the destruction of Falmouth in 1775, Benjamin did not return choosing to move to Standish. His son John carried on the name in Portland. It was he who sold our subject property to John Pettengill in 1831 for $1000.00. Interestingly, the deed speaks of buildings. Perhaps John and his brother Charles built the home as a speculative venture. 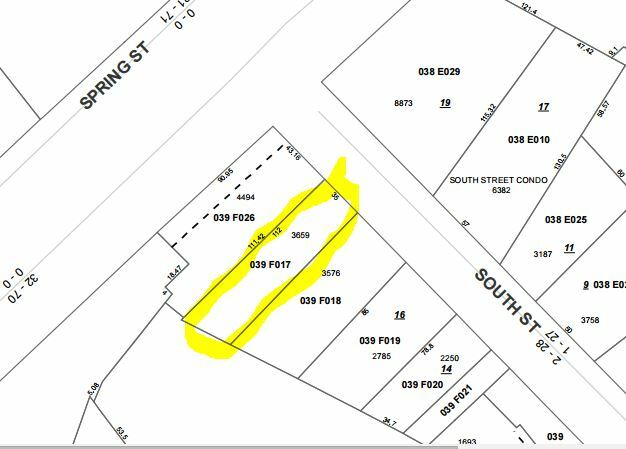 The brothers are mentioned as owners in common of the lot abutting at the rear of 20 South Street. That lot is now occupied by Pleasant Street Park. The lot is also notable for it’s size and shape. At +/- 35′ x 100′ and having about 60% of the lot taken up by building there is not much space for raising food. Chickens would have worked but not much else. This is certainly an urban lot. A home who’s residents will surely be relying on the local markets and vendors for most of their needs. This was becoming a much more common occurrence in the 1820’s & 30’s.